Hello everyone! I am happy to be here with you today. 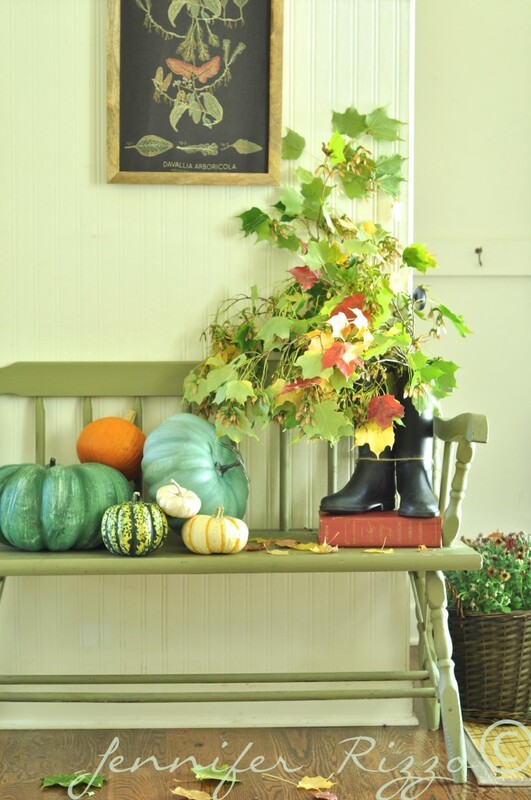 Are you feeling the Fall weather where you live? It has actually been chilly here. I know, that is crazy for Vegas, but it has been in the low 40s in the evenings. It is time for some hot chocolate, and homemade turkey chili and even my broccoli and shrimp skillet meal. Yum! 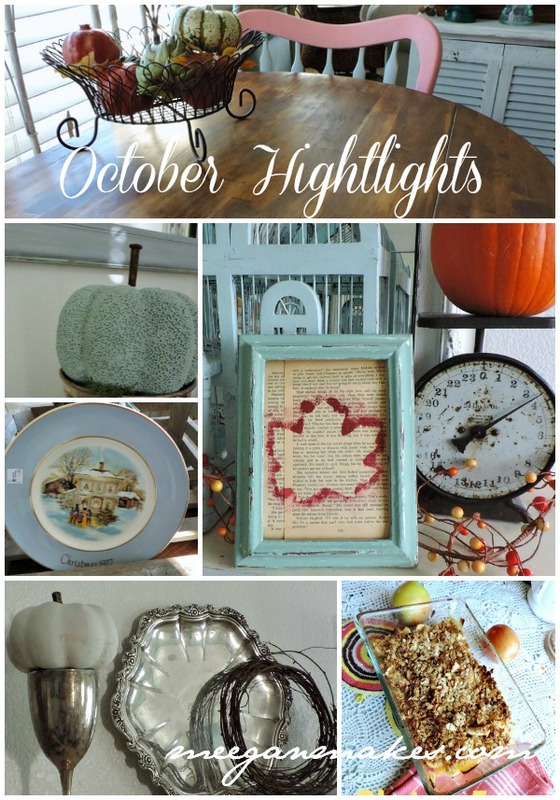 Today I have gone through my blog posts for my October Highlights. We are already half way through Fall. Thanksgiving is a few weeks away. Winter will be here in 5 weeks! And there are only just a few weeks until Christmas. But let’s enjoy Fall while we still can. AND Thanksgiving. Hello, hello! 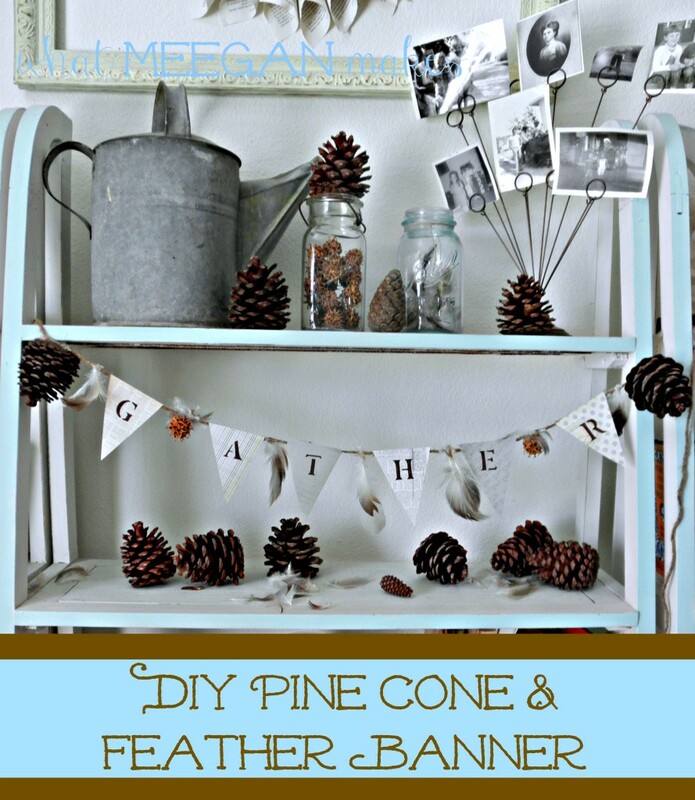 I am so excited to let you know about the Dollar Tree Anniversary Celebration! 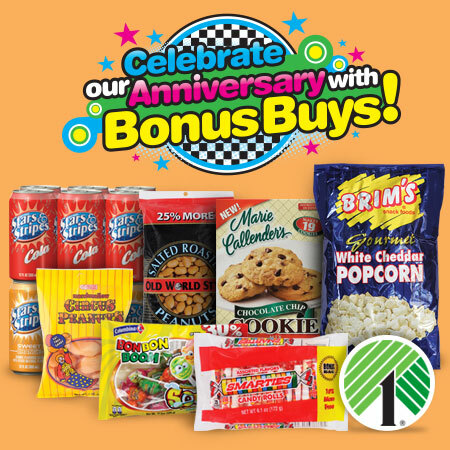 I am also excited to be partnering with Dollar Tree to share their special Anniversary Event Bonus Buys! I am a huge fan of Dollar Tree for many reasons. I like their craft section, Holiday decor, snacks, and drinks. AND, I can save even more during the anniversary celebration! 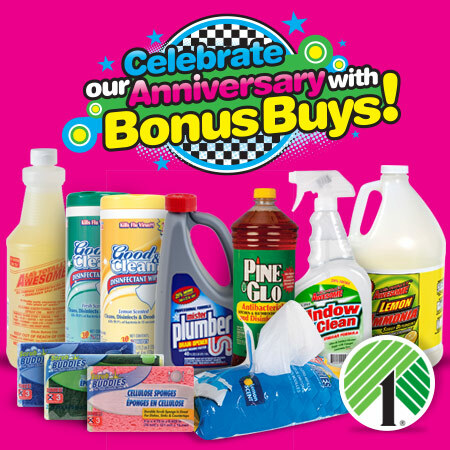 Celebrate Dollar Tree’s anniversary from Sept. 28, 2014 through Oct. 11, 2014 with tons of new Bonus Buys with up to 58% more FREE for each item! Can you believe that?? 58% MORE for each item! Wow! Do you know what this means? Larger packages, larger quantities all for the same price! The Dollar Tree Anniversary Celebration is coming just in time for me over the upcoming months and Holidays. As you know I have 21 grandbabies. Their ages range from 15-1 yr. During the Holidays I will need lots of snacks. Things like popcorn, goldfish crackers, Sunny D drinks, quick dinners, condiments, and even Tide detergent for those messy crafts we will be making. Why would I pay more somewhere else when Dollar Tree is having their anniversary celebration? Many of your brand-name favorites are available for a limited time in larger sizes, but are STILL only $1 each. From cleaning supplies and home décor, to health and beauty care, snacks, beverages, and so much more, Dollar Tree stores will be packed with super savings. Shop in stores and EVEN online for these two weeks, but remember — quantities are limited, so hurry in today to stock up on these incredible deals! 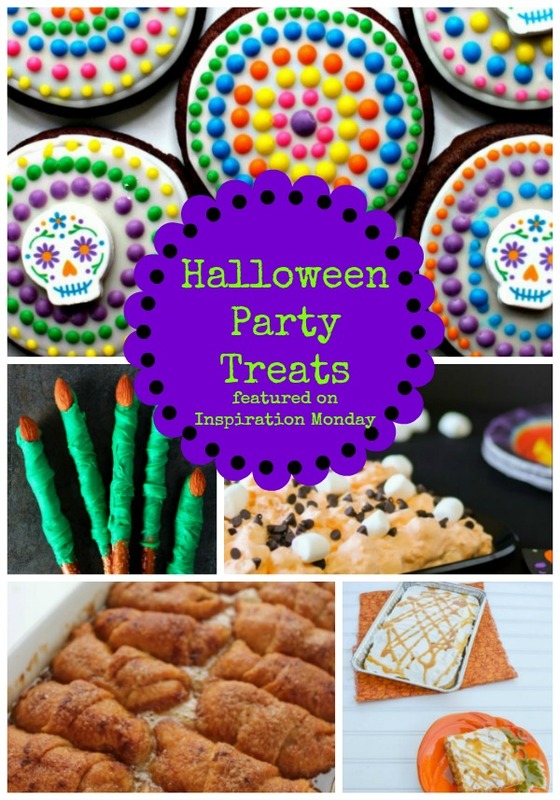 While shopping at Dollar Tree, stock up on your Halloween decor, candy, costume accessories and more. It’s only a $1, so why not?? 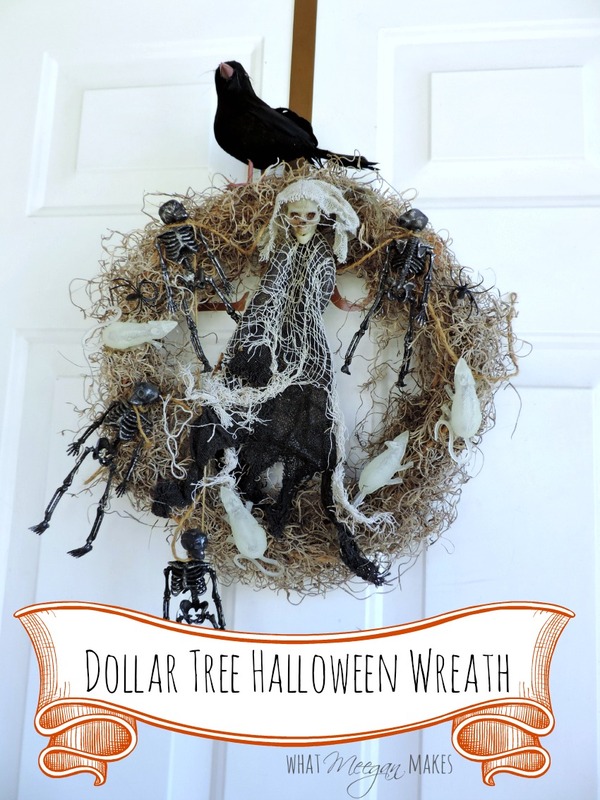 I made my Halloween Wreath with purchases from Dollar Tree. 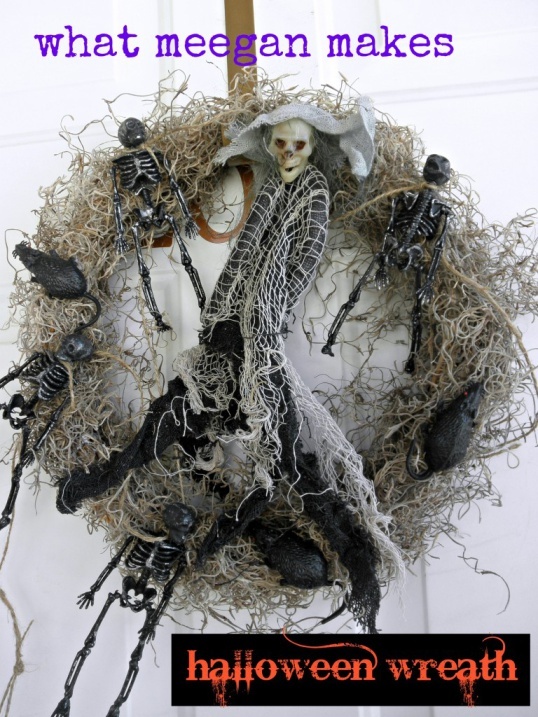 I bought everything from the straw wreath to the moss and ALL of the creepy accessories at Dollar Tree. How fun is that??? Save with the Dollar Tree Anniversary Event! Set the date, mark your calendar and set your phone for the Dollar Tree Anniversary Celebration! I know, I am!! Hello, Hello!! AND Happy Halloween! I am excited to be here today! 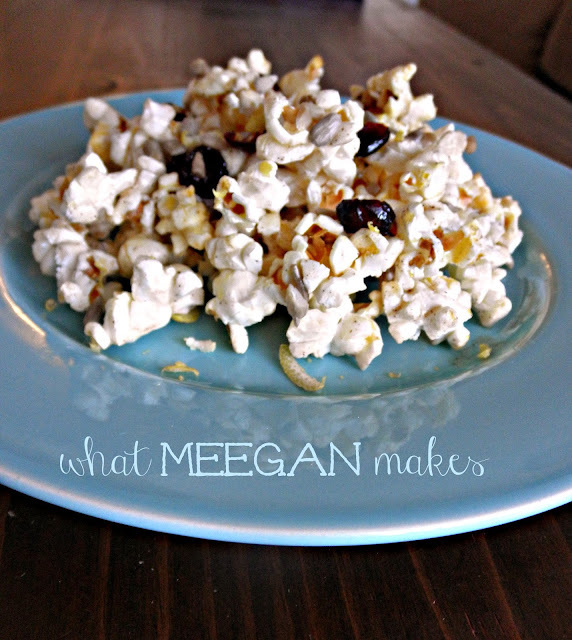 I have so much to tell you, including a recipe for my Healthy Popcorn Munch and an invitation! You are gonna love it!! First of all-have you already had too much Halloween candy?? Are you in the mood for a more healthy treat? I have the perfect solution for you. Yep, it’s my recipe for Healthy Popcorn Munch. And, it is SO delish!! You will make it all year round for your friends and family. It is also a great party appetizer. So nummers that you NEED the recipe now, right?? Melt butter, stir in honey, lemon peel and cinnamon. Drizzle over popcorn. Add dried cranberries and sun flower seeds. Toss gently. The lemon peel adds just the right amount of tartness to balance the sweetness from the honey. You will gobble it up as soon as it is made. That is a promise! Whenever I am asked to bring a treat or snack to game night, a church meeting, or any social gathering-this is my go to recipe. 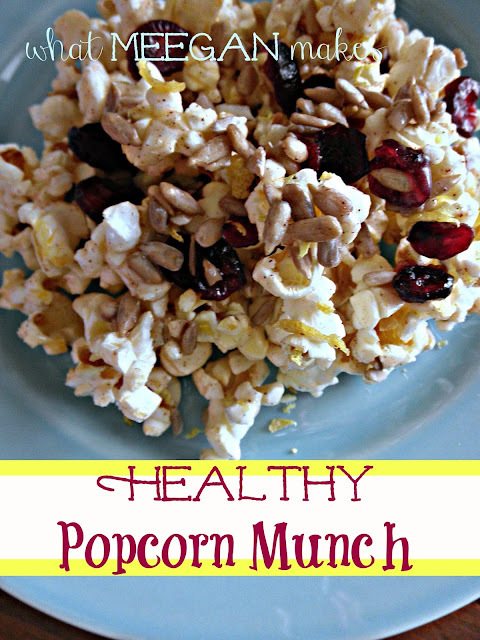 Healthy Popcorn Munch is a pleasant surprise. And with these flavors combined, it is gone fast! 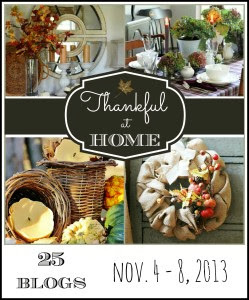 You are invited to the Thankful at Home Tour. The tour begins November 4th and goes through November 8th. 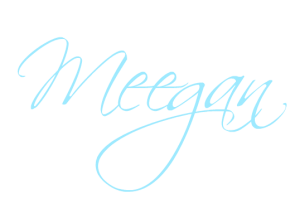 If you have read any of these blogs, you KNOW they are some of the best around. 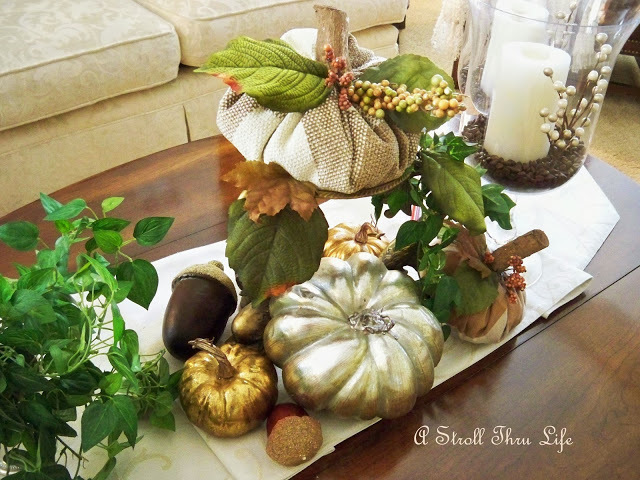 They are all preparing their ideas, tips, recipes and decor to share with you on these dates. Can you believe that line up??? I am excited and honored to be working with some of the finest and most talented bloggers all next week. I am also excited for you to visit their blogs and be inspired by each and everyone of them. So mark your calendars, set your timers and be ready for some of the Thanks at Home Tour. Thanks for stopping by on this fabulous Halloween day! 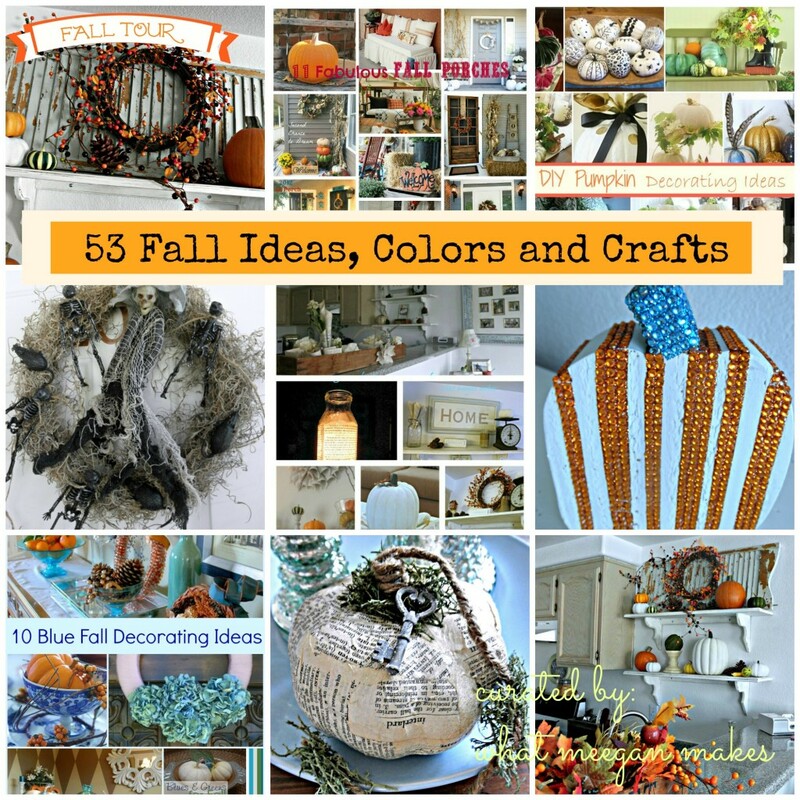 For someone who claims to love Summer more than any other season, I sure do have a lot of posts about Fall ideas, colors and crafts. 53 ideas altogether!! 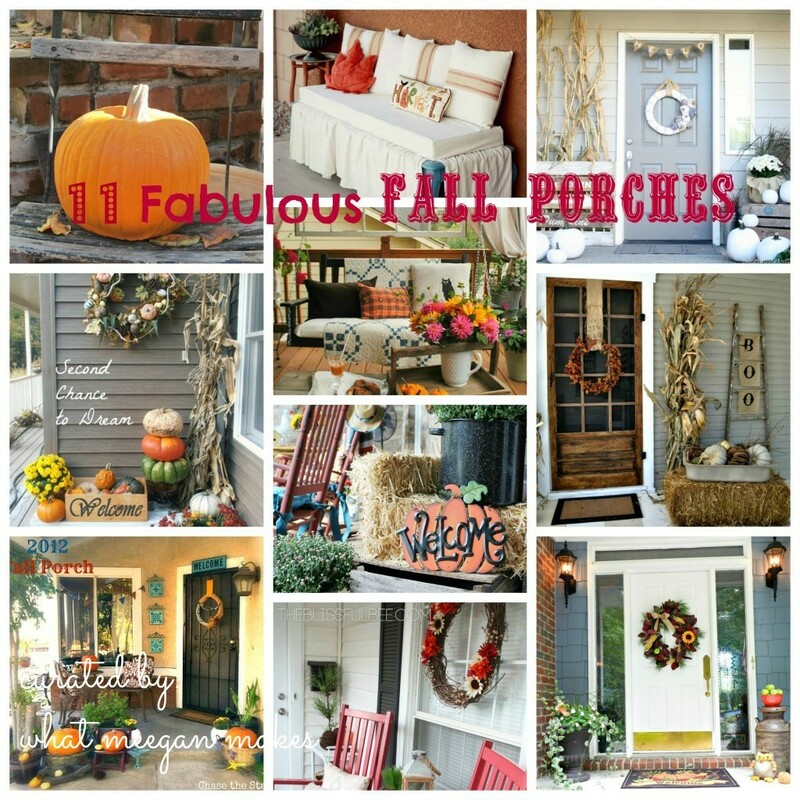 I thought I would share them all in one spot today for your enjoyment and Fall inspiration. 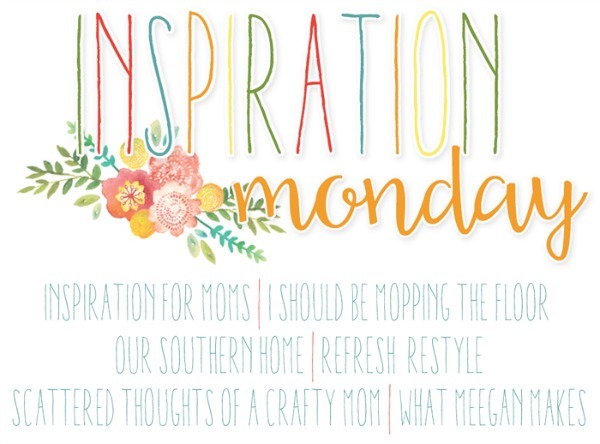 Some are my ideas other are from blogger friends. I know you will appreciate each and every one!! 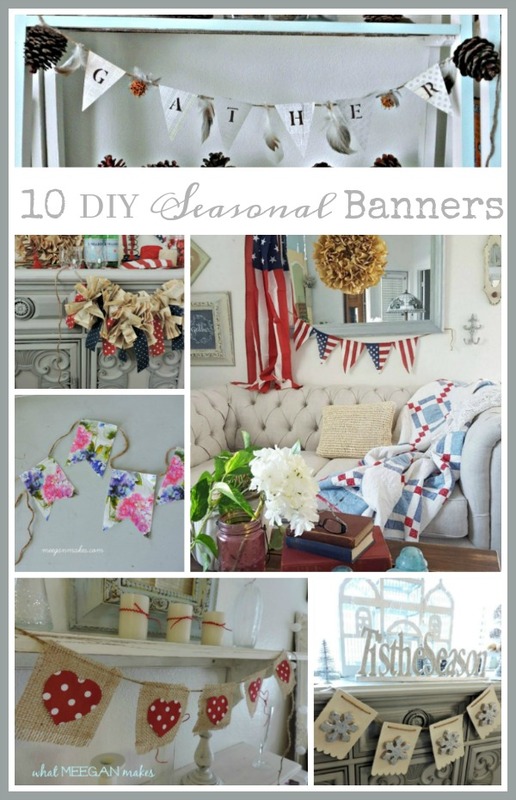 There is a variety of styles and ideas culminated here for each one of you. 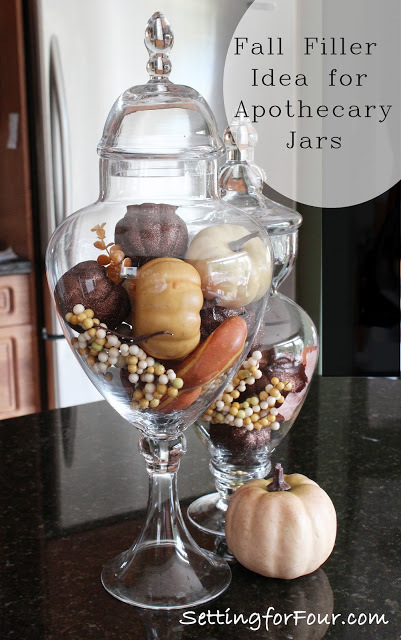 Anyone that visits this post will be inspired by a Fall project. There isn’t any style that I missed. I hope you enjoy each post as it is meant for YOU!!! See, and I thought I loved Summer best. 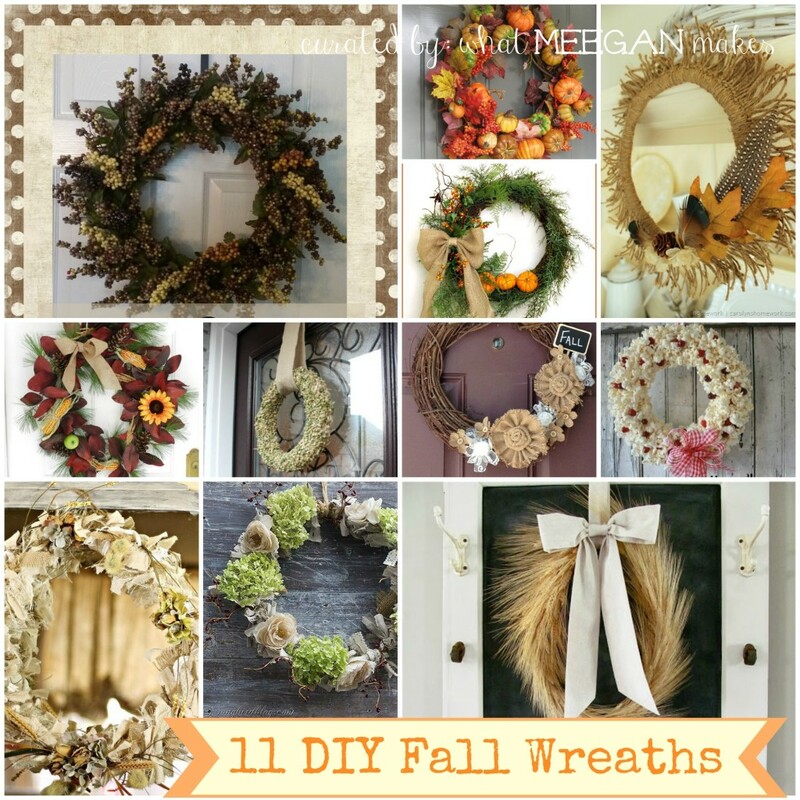 But after sharing 52 Fall, ideas, colors and crafts I realize I have another favorite season after all. Thanks for being with me today. It is my pleasure to have you here!! 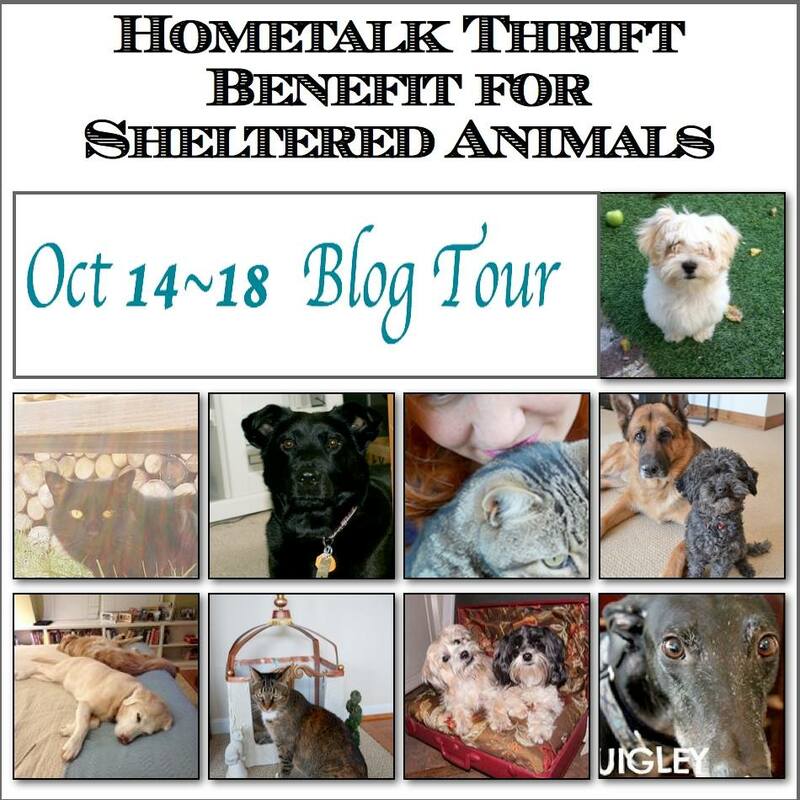 Have you also been visiting the Hometalk Thrift Benefit For Sheltered Animals??? If you love pets and thrifting then this is the blog tour for you!! 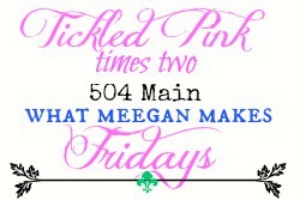 ALSO, join me back here tonight at 6:10 PST for Tickled Pink Times Two Friday and Features!! I don’t know about you, but I am into full Fall mode. 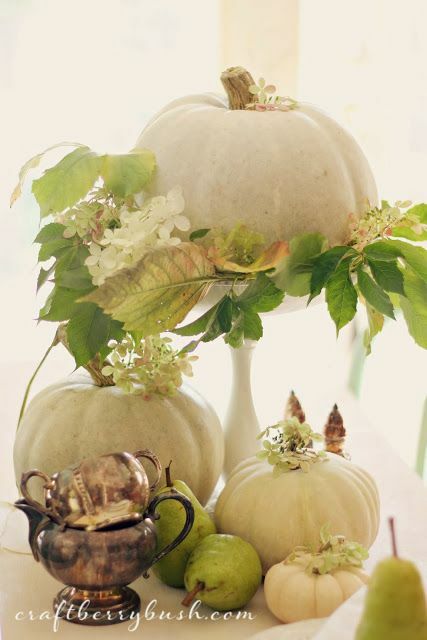 I am enjoying every pumpkin, and fall idea I am come across. 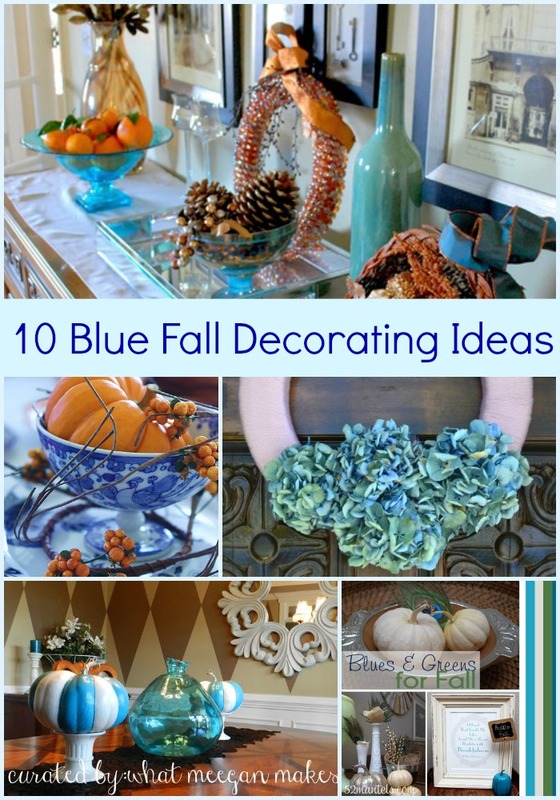 And, today I’ve the the Monday Blues for 10 DIY Pumpkin Decorating Ideas!! Don’t you just love all of the colors of Fall?? I really like the fact that Fall isn’t just orange and yellow anymore. 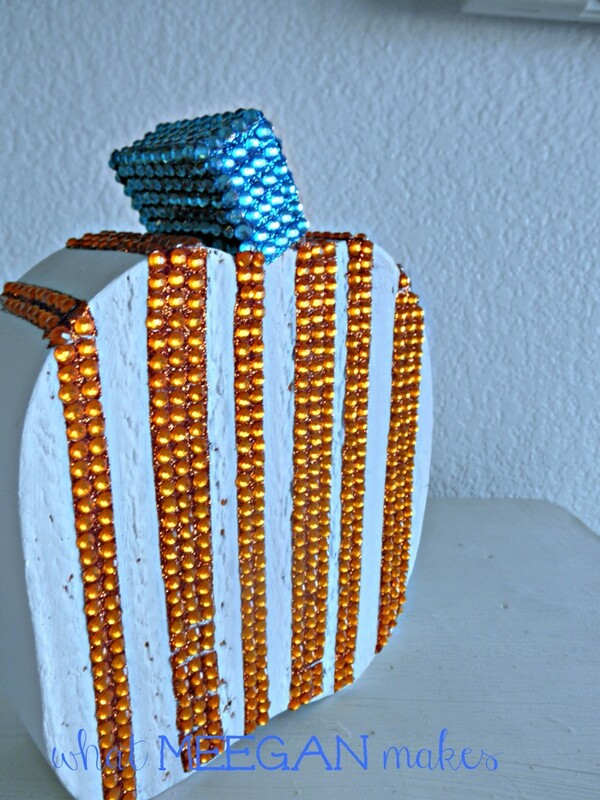 You can bring blues, green, purple, white, and even a little gold into the mix as well. 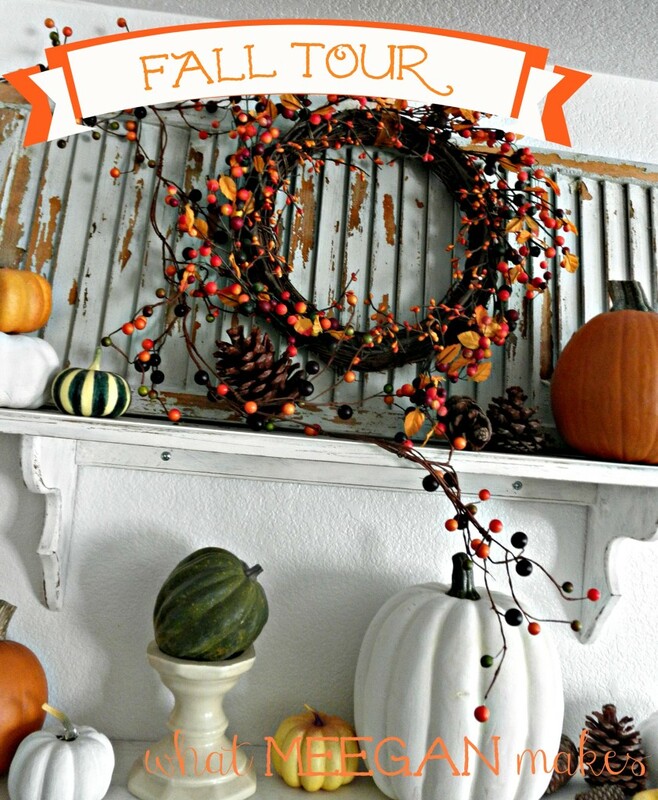 TOMORROW…I will be sharing my own Fall decor and ideas. I am REALLY excited!! 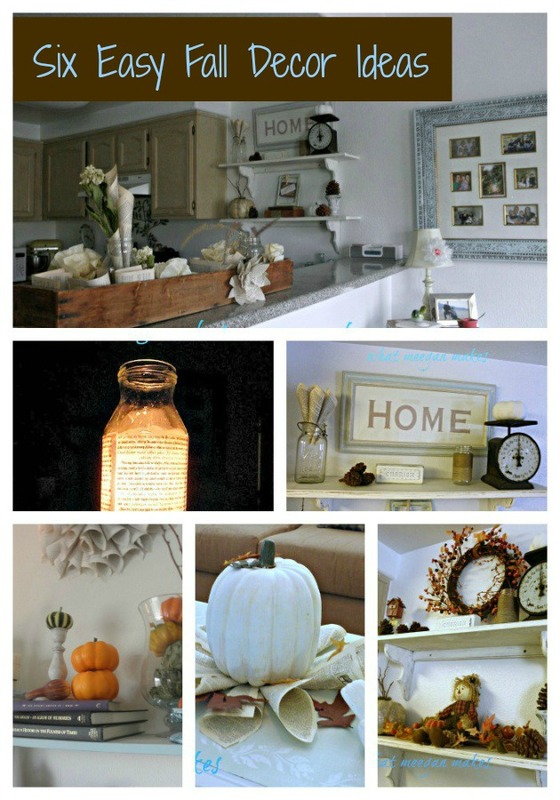 These DIY Pumpkin Decorating Ideas today, are from various bloggers. 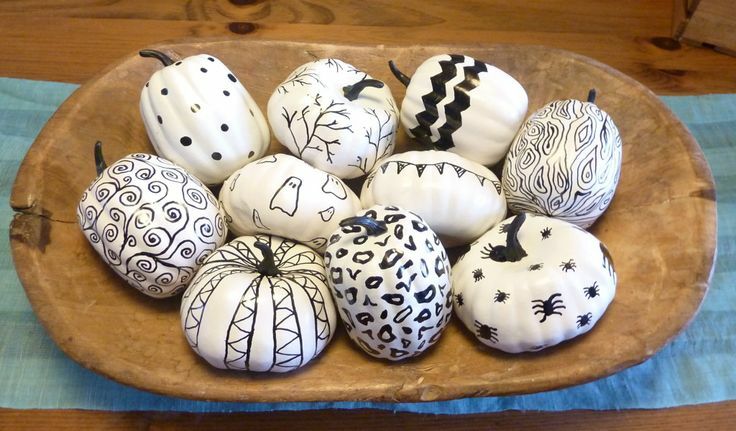 Some of the pumpkins are DIY and others are ways to decorate with a variety of pumpkins. Each one is unique and inspiring. I hope you enjoy them as much as I have and am. 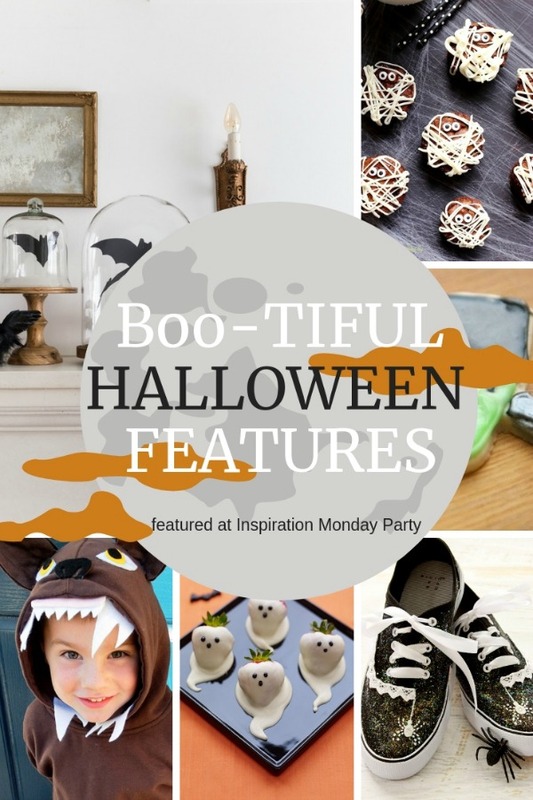 I’ve the the Monday Blues for 10 DIY Pumpkin Decorating Ideas. And now you can see why! 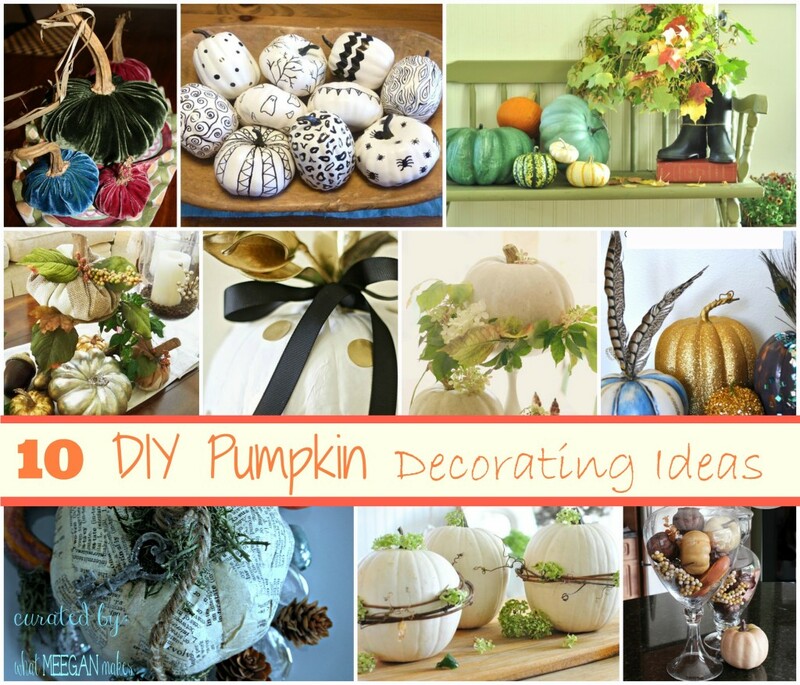 What DIY Pumpkin decorating idea are you going to use in your own decor? I would love for you to pin each recipe, but please do me a favor and go back and pin to the original source . Thanks. Don’t you just love Pottery Barn? But don’t love the prices? I know, me, too. 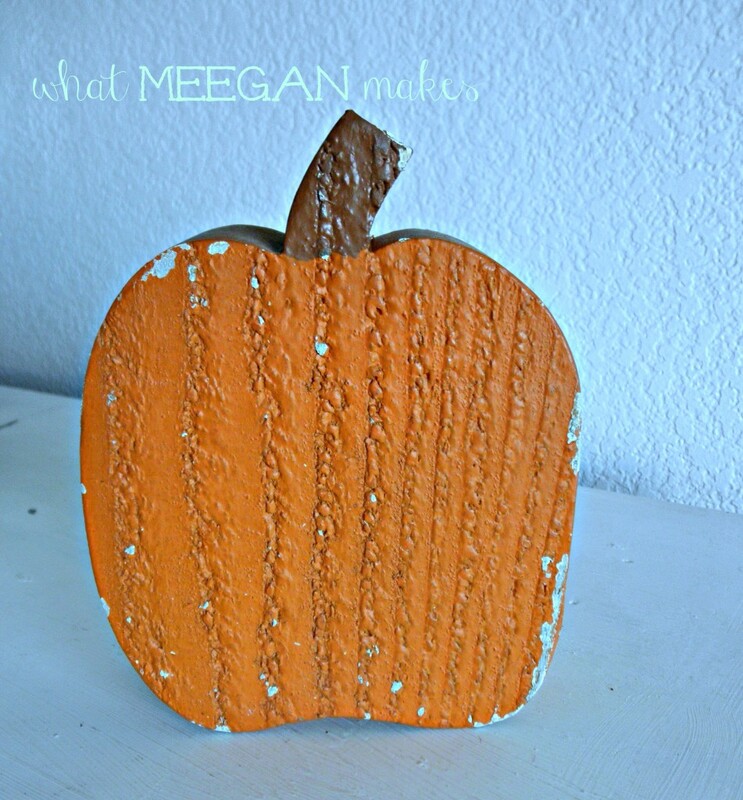 A few weeks ago I shared my DIY Pottery Barn Knock-off Glitter Book Page Pumpkin. I made it before I started a blog, so I wasn’t ever able to share the tutorial. Well, today is your lucky day! 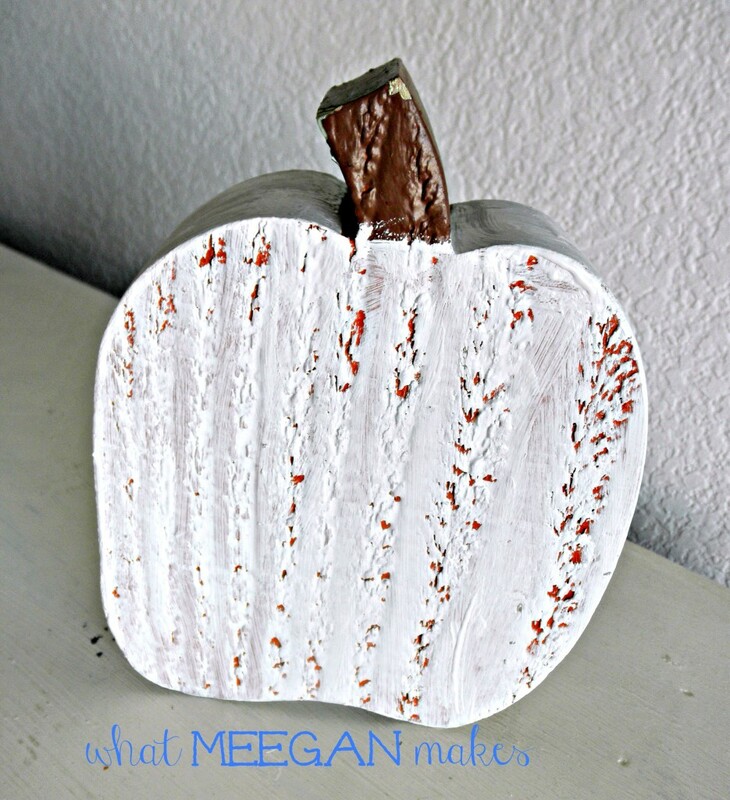 I have the tutorial for my Pottery Barn Knock-off Glitter Book Page Pumpkin for you today! Woo! I knew you would be as happy as I am! I started out with a store bought plastic pumpkin. Easy enough, right? 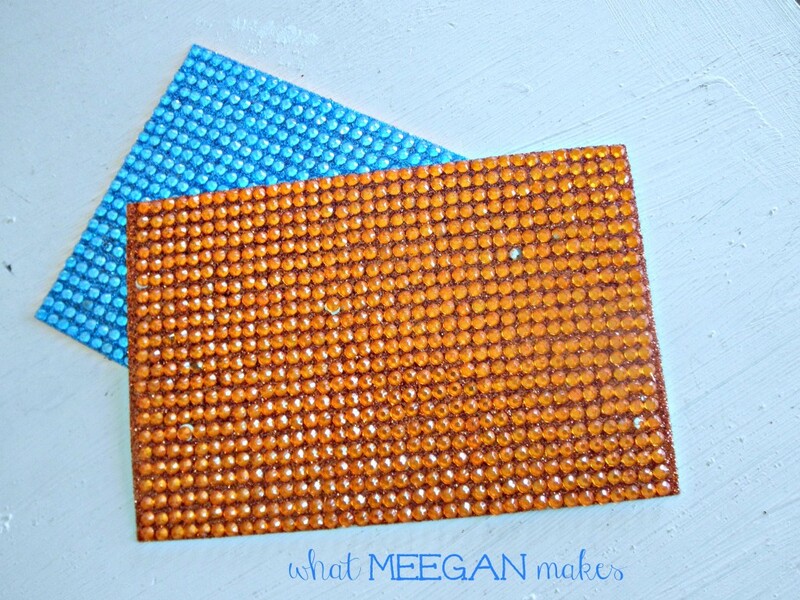 Using flat paint, I painted over the orange so it would show through my decoupaged book pages. 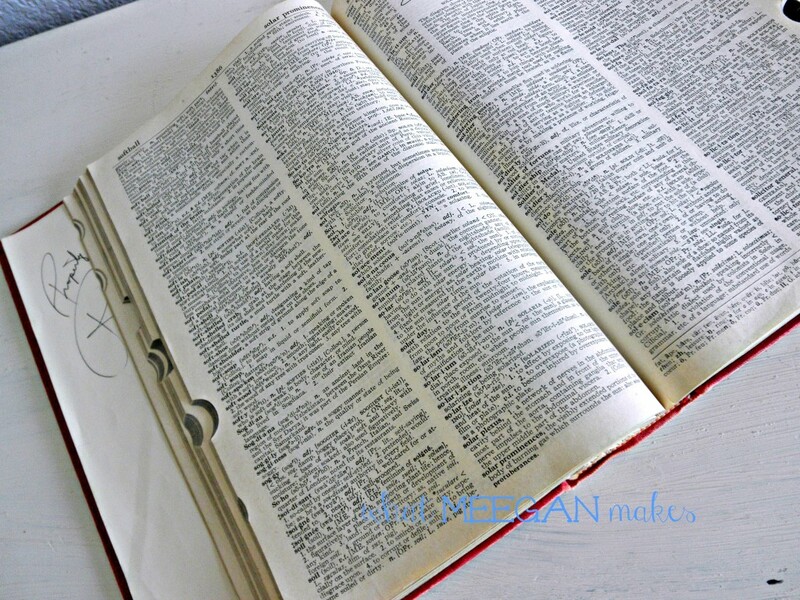 While the paint was drying, I tore out a few pages from my 1941 dictionary that I bought for a dollar. This dictionary has lasted me through garlands, wedding decor, wedding dinner, and now for my Glitter Book Page Pumpkin. And I still have more pages to work with. Woo! 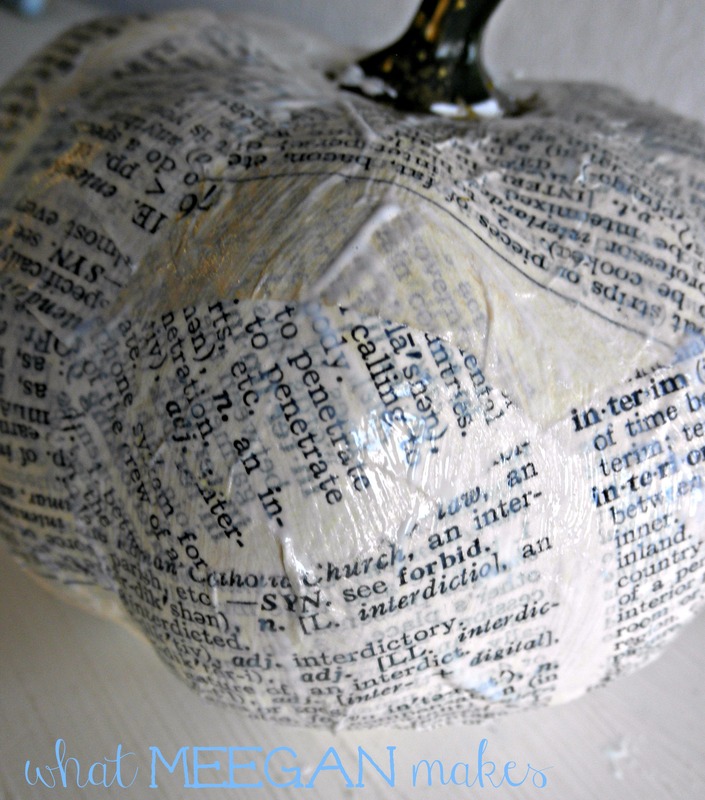 Once the paint was dry, I could begin to layer my torn pieces of dictionary. I used a high gloss decoupage from Martha Stewart. On my waste basket, I used matte. But, I wanted this pumpkin to glitter and shine! 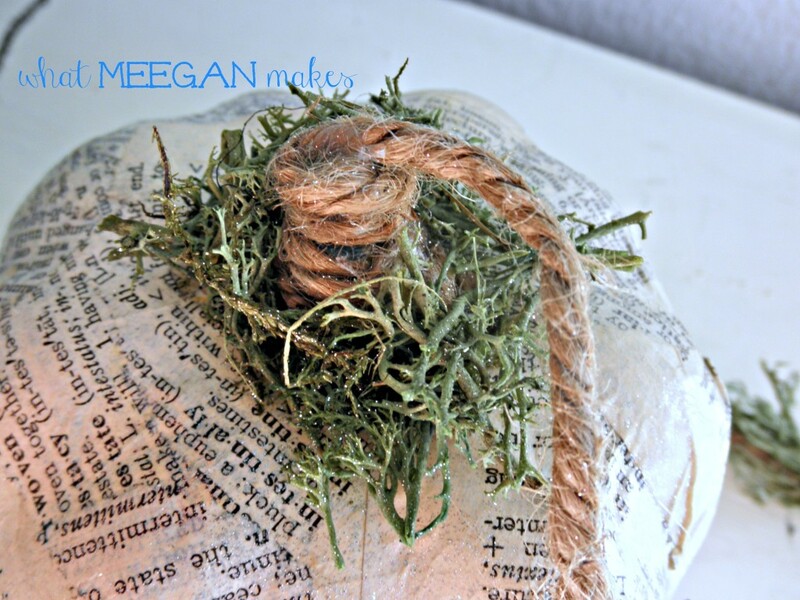 When the decoupage was dry, I added twine with hot glue around the stem with a long tail. 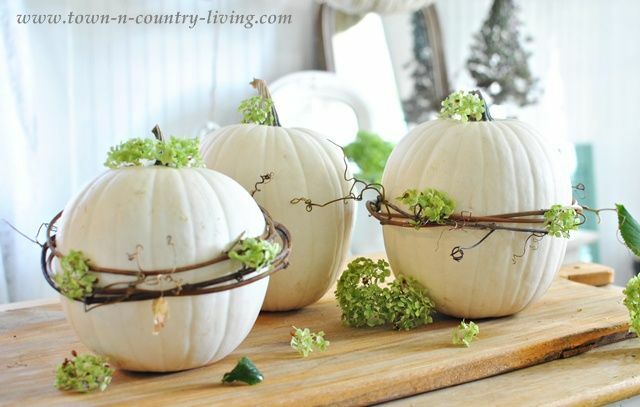 I always like the pumpkins with the long stems, don’t you? I liked adding a little moss for extra texture around the stem and along the “tail”. 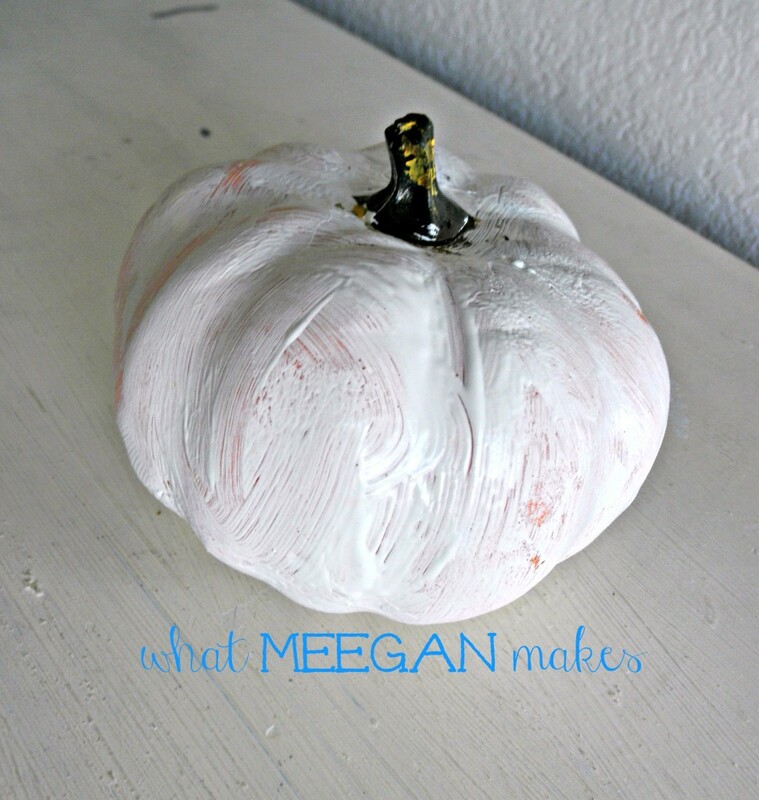 Using a silver glitter spray, I sprayed all around my pumpkin. Oh, how she makes me smile! I thought an old key would be the icing on the cake. What do you think? 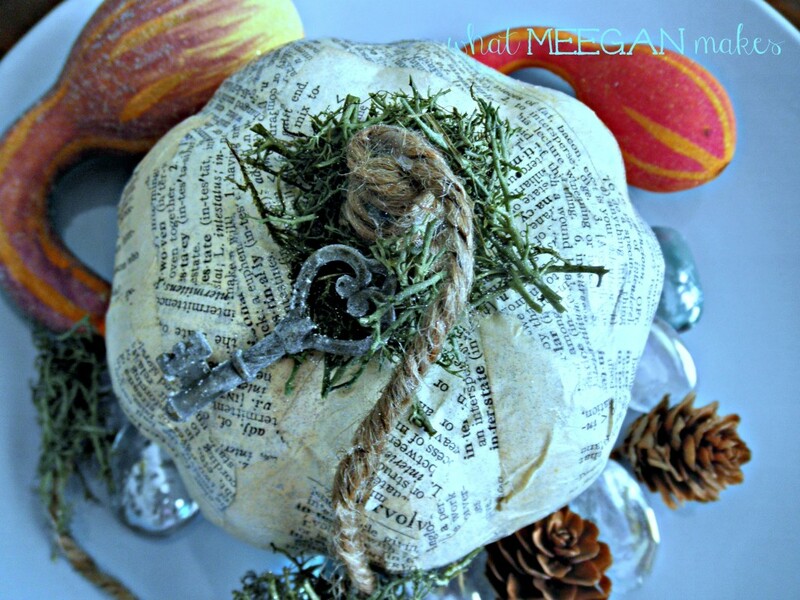 I just love the look of my DIY Pottery Barn Knock-off Book Page Glitter Pumpkin. Do you think you will make one? 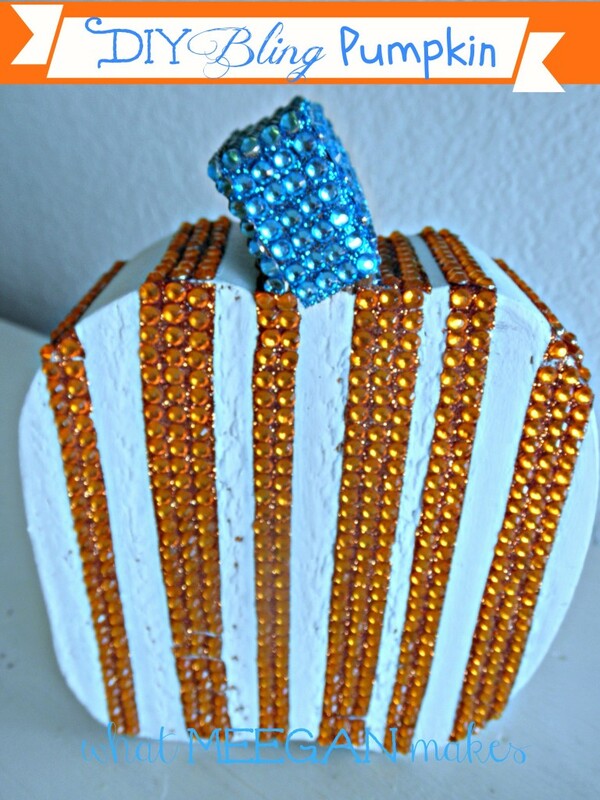 Have you seen my Bling Pumpkin yet? 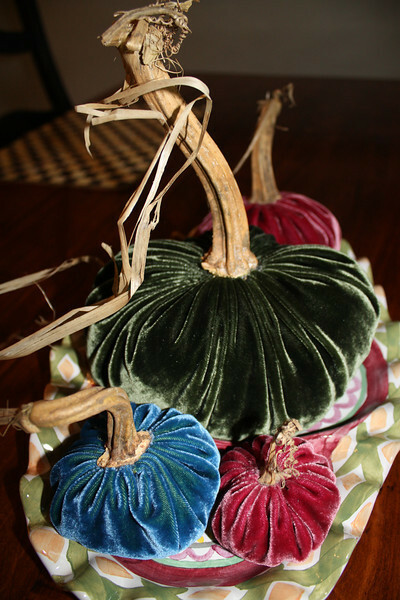 Loving my pumpkins this Fall. As you know by now, I enjoy going to thrift stores and finding items and turning them into treasures. I haven’t always done this. It has just been within the last 2 years that I have started this new hobby or obsession. 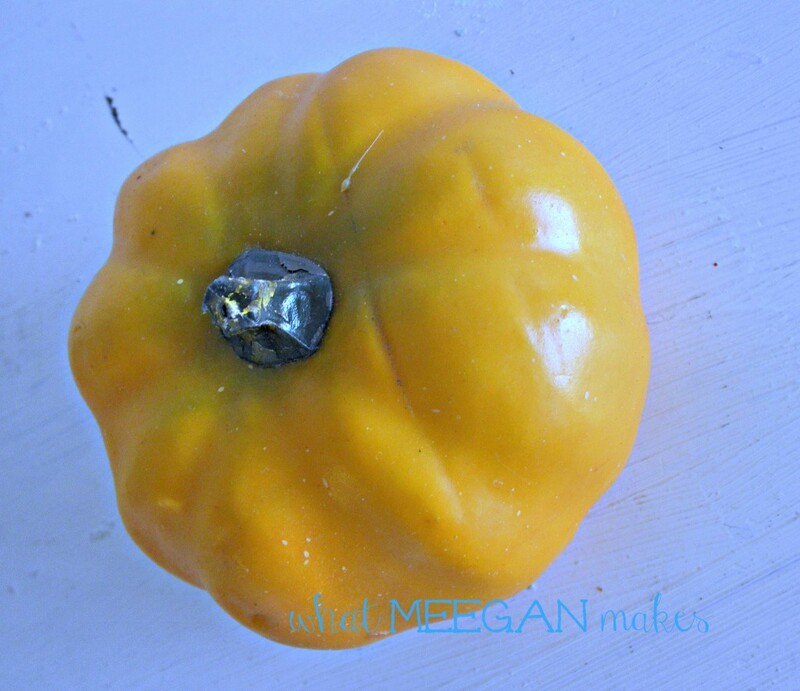 (hehe) I am excited to show you my latest thrift find DIY bling pumpkin. I have been out shopping, really just looking to see the Fall and Halloween decor. 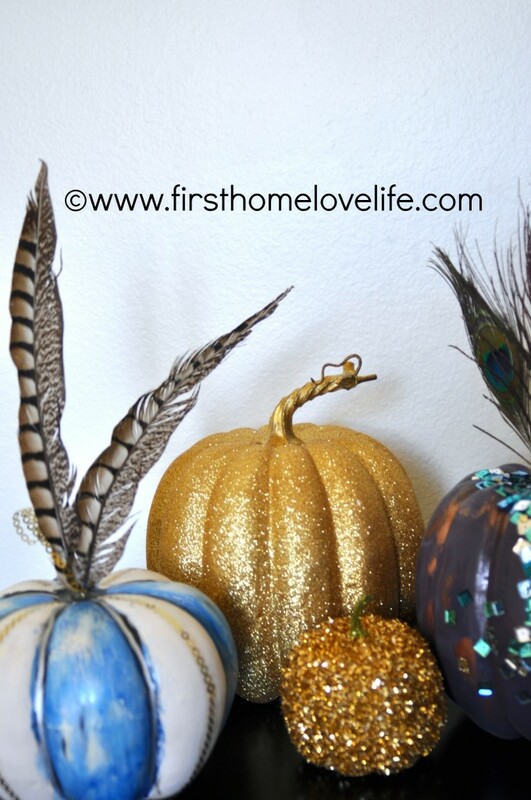 I love the feeling of Fall and all the glitter and bling that now adorn the decorations. I bought this lovely for 75 cents. I started off by painted her white, using a flat wall paint. I have these beautiful rhinestone sticker strips from David Tutera. They are in the wedding accessory aisle at Michaels. 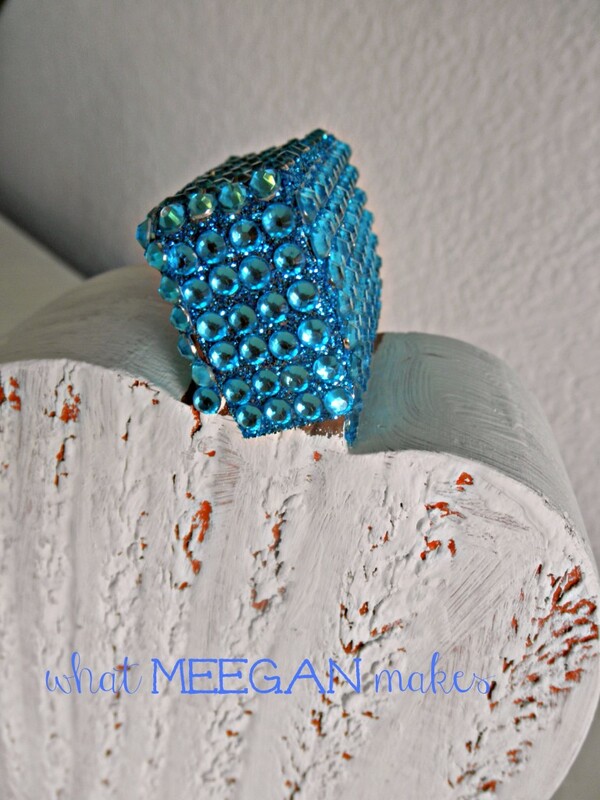 You know how much I love blue, so instead of green, I thought a blue stem would be the perfect touch. The sticker strips are really easy to use. Cut the size you need, peel off the back and you are set. Once I had my stem ready, I was ready to add the orange bling. I cut strips of 2 and 3 wide for variety. And Voila! 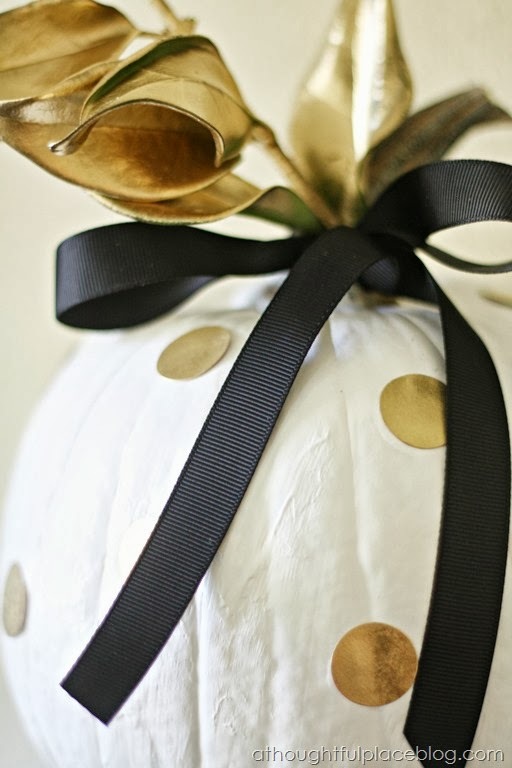 A DIY Bling Pumpkin is just minutes. For pennies, I now have my own version of bling pumpkin. What do you think?? Doesn’t she look great?? 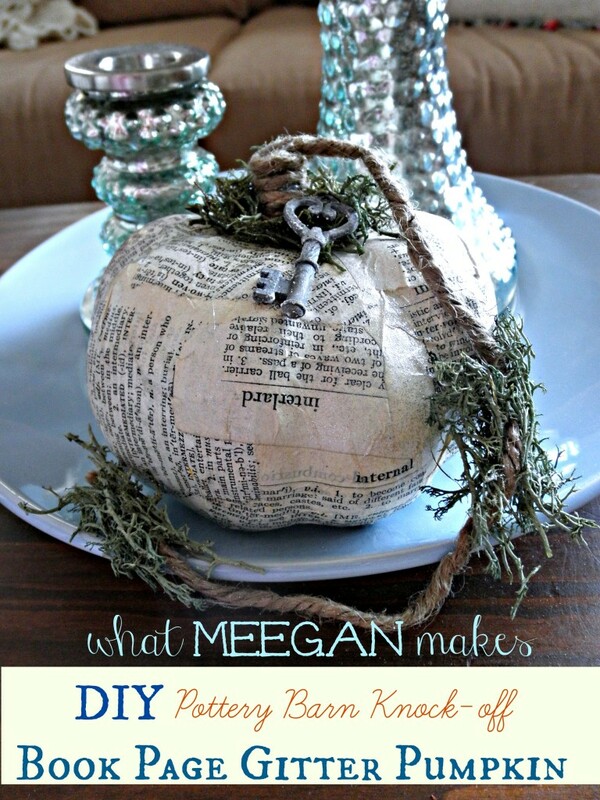 I am happy to share my DIY Bling Pumpkin with you. I love reading your comments and try to respond to everyone. Make it a Super Saturday! I hope you have signed up to receive my posts by email. I don’t want you to miss out on anything!